Planning to spend 2 days in Adelaide? If you only have 48 hours in Adelaide or less, we have the perfect itinerary and travel guide written by a local to make the most of your short visit. Read this travel blog for the best things to do, where to eat and stay in Adelaide and other essential insider information. For years, my home town of Adelaide has been bypassed from everybody from touring bands to adventurous backpackers. Nestled down at the bottom of Australia, it seemed we were just that bit far for most to reach, so instead we were skipped over in favour of more fashionable Sydney and Melbourne. As Adelaideans, we began to wonder if there was something wrong with us and whether we would always be second fiddle to the eastern seaboard. 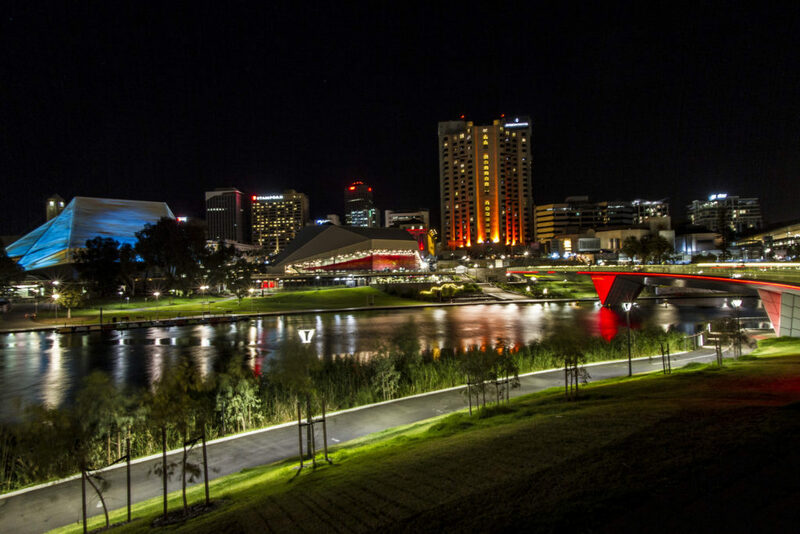 Adelaide was named one of Lonely Planet’s top cities to visit in 2014. To celebrate, we gave out free coffee to everyone for 24 hours. Three years later, they declared our whole state one of the best regions to visit. All of a sudden, we began to hear accents from abroad on our trams and to see backpack-laden young people wandering our streets. Nearly falling over ourselves with excitement, we demanded to know how visitors were finding our home and sent them away with lists of recommendations of places to visit. See, some places are burned by visitors, or at least so well-used to their presence the locals barely raise an eyebrow. Not Adelaide. 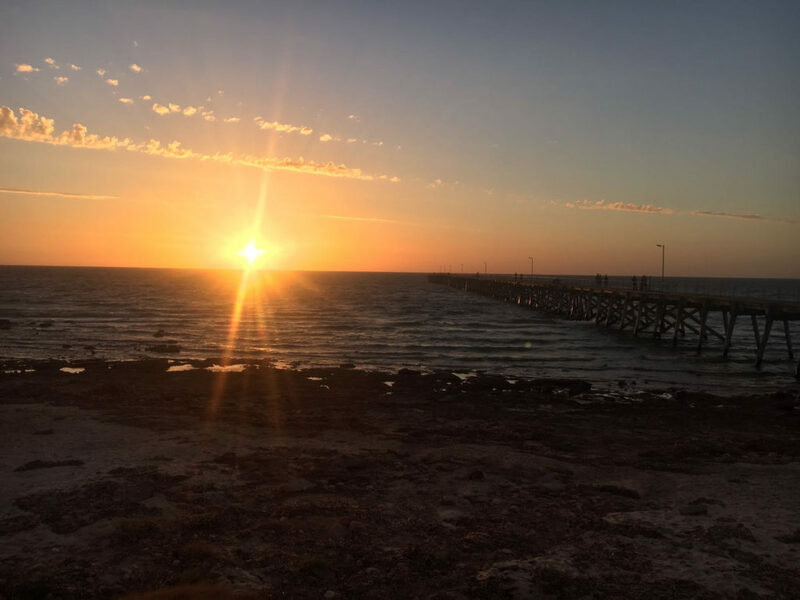 It is our delight to share the things we’ve loved about our home for decades- the amazing, unspoiled beaches; the magnificent wine regions; the varied nightlife; the multicultural cuisine and the glorious outback – with those who are just hearing about us. So, we’d love to welcome you to Adelaide. Not sure? Well, here’s my locals guide which can hopefully tempt you or give you inspiration for your upcoming trip. So, strap your walking shoes on and prepare your tummy, because we’re going to cover a lot of ground and flavours. A couple of lightning quick introductions to Adelaide. We’re a city of 1.5 million people, located on the coast at the very bottom of Australia, near the middle. The land that is now known as Adelaide, and most of the immediate surrounds, is Kaurna land. The Kaurna people were the traditional owners in the area, and have an enduring connection to the area of Adelaide and the plains that surround it. You’ll see many place names, such as the central square – Tarndanyangga (or Victoria Square) – that pay homage to this. Adelaide does not have a tropical climate, which means (good news) we don’t get hot, sticky and uncomfortable in the summer but (bad news) it can get quite cold in the winter. If you want the quintessential sun-soaked Aussie experience, the summer months around November to March are ideal, however the state is beautiful and green in the winter months. February/March in particular is a great time to visit because there are many amazing festivals on during this time – so many that it is nicknamed ‘Mad March’. The best of all is the Adelaide Fringe, which is the second-largest open-air arts festival in the world and features performers of every creed, from spoken word poets to cabaret singers to comedians and contortionists. The city is compact and divided into a very logical grid system. Staying anywhere within the city is very convenient, as pretty much everything is walkable and it is the most convenient place for catching public transport. If you want to be in the centre of the nightlife, staying around Tarndanyangga or Rundle Mall is very convenient, but noisy – if you’re looking for something more peaceful (but more of a walk), South Terrace or Hutt Street are good options. The Adelaide CBD is pretty compact, so it can easily be explored on foot. However, if you prefer, you can rent a bike or take the free tram between spots. One of my absolute favourite things about Adelaide is that it is a very green city. 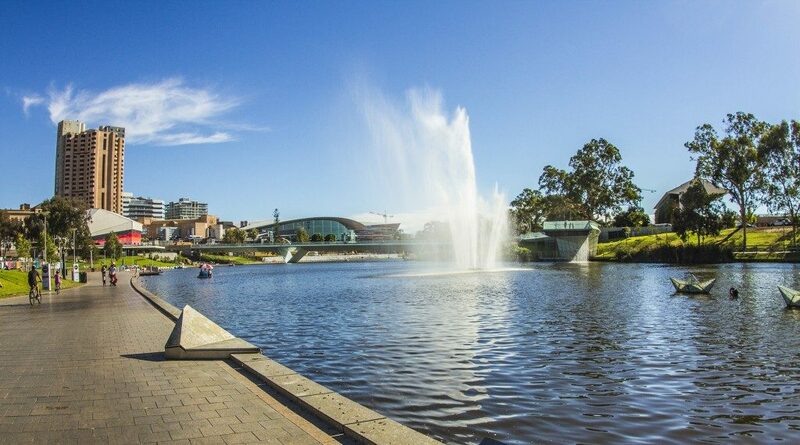 I suggest starting your tour of Adelaide with a walk down to the River Torrens, admiring the pretty views and doing a bit of people-watching. You’ll also see the famous Adelaide paddleboats, and you can take one for a paddle if you’re game! If you follow the river down towards East Terrace, you should eventually come to a bridge with many love padlocks. It’s a pretty photo, and also the hint to turn off and head back onto North Terrace via Kintore Avenue. If you wander down this avenue, you’ll eventually pass the Migration Museum. This is a free museum, and one of my favourites. It tells the story of more than two centuries of migration to Australia. In recent years, there’s been a push to add in more interactive exhibits and it’s a really fun place to spend forty-five minutes or so. After continuing along Kintore Avenue and then turning left, you’re on North Terrace, which is a cultural hub. Not far from the Migration Museum is the Adelaide Museum, Library and Art Gallery. Personally, I’d skip the Art Gallery, but make a stop in at the Library and ask the staff to point you to the Mortlock Wing, one of Adelaide’s hidden gems. It’s a stunning library that looks like it wouldn’t be out of place in Trinity College in Dublin or perhaps Harry Potter. At the Adelaide Museum, which is also free, I’d stick to the bottom floor only, which is an excellent exhibit about Aboriginal Australians, as the upper floors are looking a little tired. Following the museum, head for the Adelaide Botanic Gardens. These are beautiful, sprawling gardens that are filled with indigenous plants, flowers and shrubs. Every day there is a free guided tour of them at 10:30 am, which is well-worth doing. If you miss the tour, that’s OK – just go for a wander and don’t be afraid to stop and enjoy the peace and quiet! Following the tour of the Botanic Gardens, Golden Boy is a super-cool new Thai place that is a great (and quirky) place to stop for a delicious lunch across the road from the Botanic Gardens. Otherwise, there are lots of other restaurants to choose from along Rundle Street. On the next street over from Rundle, Grenfell Street, you’ll find Tandanya Cultural Centre. This is the Aboriginal art gallery and performance space. It has many great exhibitions of modern and traditional Aboriginal art, as well as a gift shop which sells prints and beautiful souvenirs. From Tandanya, it is a little bit of a walk to the next stop, the amazing Central Market! I suggest walking back down along King William Street, where you can see some lovely old buildings including the Adelaide Town Hall and General Post Office. 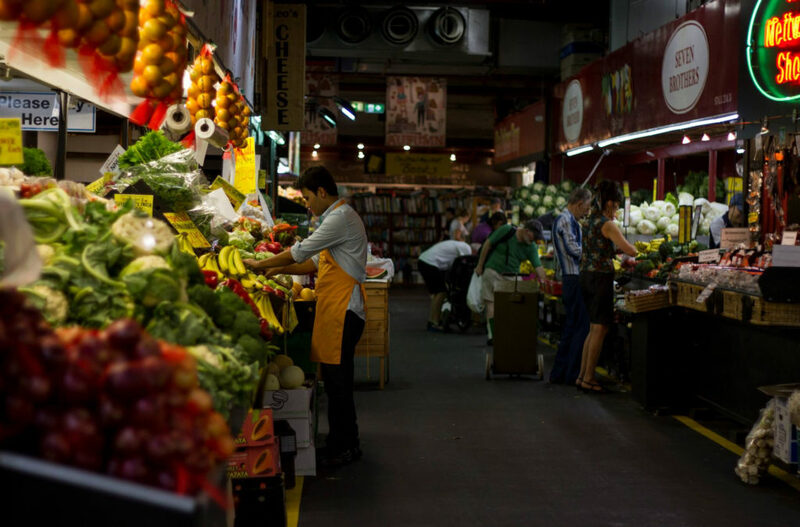 After you cross through Tardanyangga and turn right, you will be at the Central Market – the southern hemisphere’s largest undercover market. Here, you can discover an amazing range of different stalls selling fresh produce, cheeses, spreads, and more. Some of my favourite stalls include the Smelly Cheese Shop and Kangaroo Island Spirits. These are my main highlights of Adelaide, although there are more attractions if you wish to stay in the city. Personally, however, I recommend catching the tram from Tardanyangga to Glenelg (about 30 minutes) to catch the afternoon buzz in this pretty coastal town. If it’s warm enough, you can even go for a swim! Another great way to take in the atmosphere is to grab a drink from the Glenelg Life Saving Club, and watch the sunset from the balcony. Adelaide is totally spoiled for choice when it comes to restaurants – if you’re a foodie, you aren’t going to be disappointed. We have an amazing variety of cuisines from Afghan to Uyghur and everything in between. Here is a list of some of my favourite multicultural restaurants, but if you don’t mind a short taxi or Uber ride, Parwana Afghan on Henley Beach Road has been a favourite of mine for almost a decade and it never disappoints. As for nightlife – you will not be disappointed in Adelaide. The city has dozens of amazing small bars to enjoy. Some of my favourites include Hains & Co (cute gin bar, super popular with locals) and Cantina Sociale (a Spanish-themed wine bar), although pretty much everywhere on Peel Street is good too. If you’re looking for something more upbeat, Casablabla attracts an older, multicultural crowd whereas Rocket is a non-stop party popular amongst university students. I recommend trying not to end trying not to go too hard on Adelaide’s nightlife because for day two you have to do some wine tasting! Honestly – it would be criminal to leave Adelaide without having tried some of our world-famous wine (if I do say so myself). First things first, I recommend having a good breakfast because wine tasting sneaks up on you. One of my favourite brunch places is Crack Kitchen on Franklin street, or a little bit further out, the Loose Caboose is adorable in an old converted train station. Then, it’s time for the tasting. Now, I’m going to declare my bias here and admit I grew up very close to the Barossa Valley Wine region, however I do honestly believe it is the best in the state. Ask any wine lover and they’ll probably recognise a few Barossa drops – including Jacob’s Creek, Wolf Blass or Rockfords. Despite the prestige of the Barossa, people are incredibly down to earth and friendly. Don’t be surprised if you find out that the woman in jeans and a baseball cap chatting to customers is actually a world-famous winemaker. Most of all – don’t be afraid if you aren’t a wine expert. No one in the Barossa is snobby, and they’ll be happy to show you through the different types of wine to (hopefully) find what you love! The only downside of the Barossa (or really, all of Adelaide’s wine regions) is that it is not accessible by public transport. Personally, if there is any way to get a car so you have more freedom, I really recommend it as it will open up many more doors for you. However, this can be expensive, and, obviously, if self-driving, someone can’t do much tasting. If this is not possible, I recommend doing a hop on hop off bus tour which gives you a little more freedom than a group tour, and is very affordable. With this option, you won’t be able to choose the stops, but having done it I can tell you they are all great quality. If you’re self-driving, you’ll have the ability to take the ’back way’ from Adelaide to the Barossa via the Adelaide Hills. The scenery is beautiful, and quite different than the rest of the city. There are two places you might want to stop in at – the Gorge Wildlife Park, where you can hold a koala and get your photo taken, or the Big Rocking Horse, which has a toy factory (great for kids) as well as several rescued kangaroos and two alpacas, who love being fed. 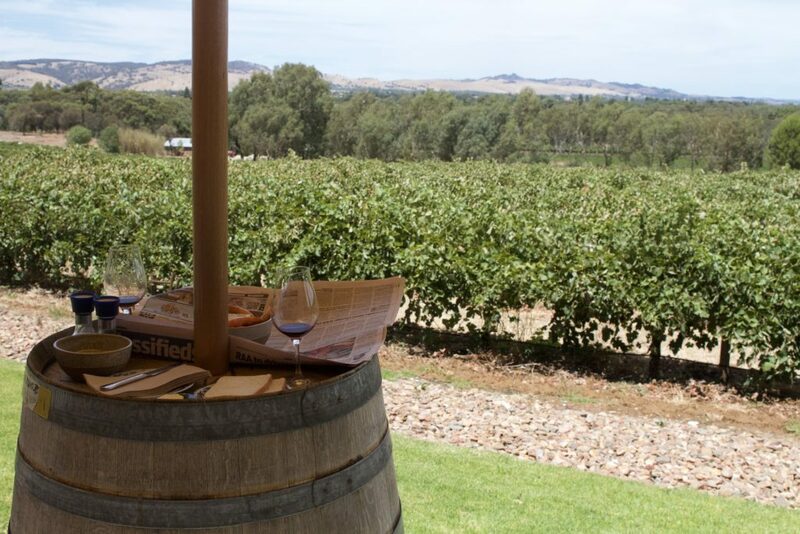 Once you make it to the Barossa, there are literally dozens of wineries to choose from. After many, many trips to the Barossa, my recommendation is to start at Charles Melton, which does incredible reds in a beautiful old farmhouse. The tastings are all seated around a large family dining table, which makes everything a very special experience. ‘Charlies’, as it is affectionately known, also has a great restaurant on its verandah, although personally I’d skip it in favour of Maggie Beer’s down the road. Maggie is a bit of a South Australian icon, and does great platters that you can enjoy overlooking the dam on her farm. 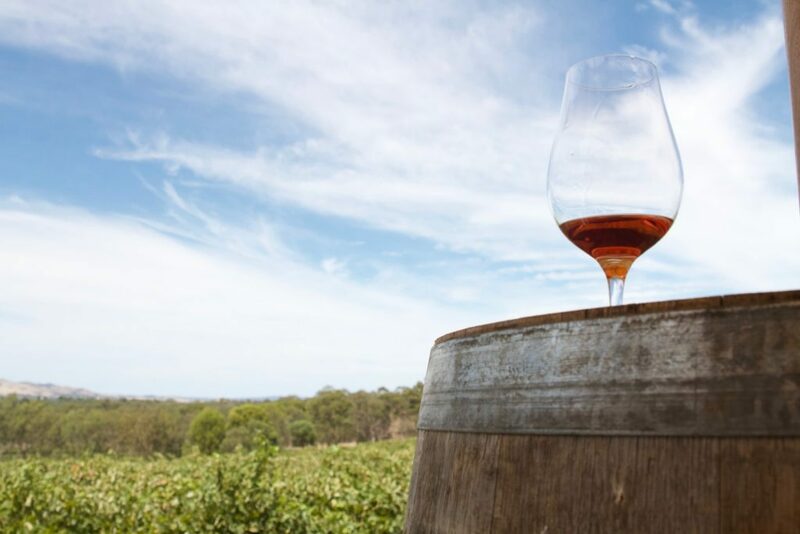 Not far from Maggie Beer’s is Rockford’s Winery, one of the most celebrated wineries in Australia. Rockford’s Wine is famous all over the world, but you wouldn’t know it when you entered their humble antique farm house which features eclectic décor from football trophies to a taxidermized cat (apparently it was so well loved at the cellar door they had him stuffed after he passed from natural causes). From Rockford’s, I suggest a stop by David Franz Winery. It’s a much more modern place than the other two, and it is nice to get a taste of the ‘new’ Barossa. 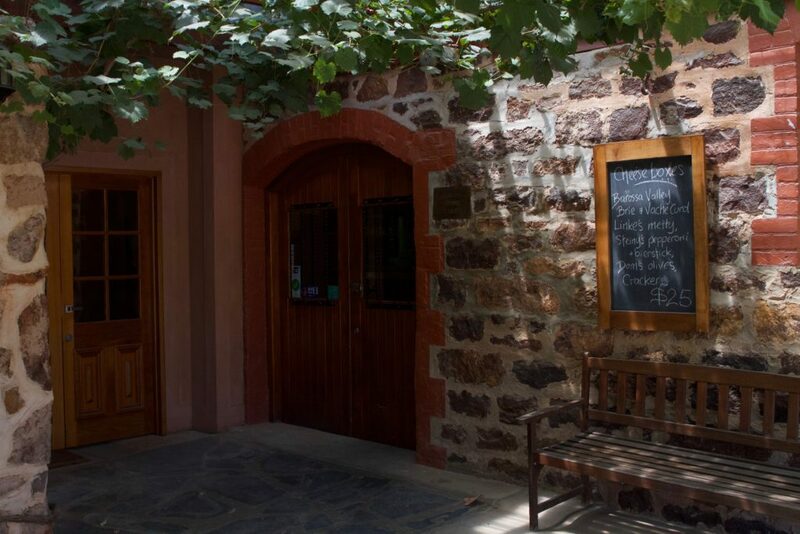 Plus, they have a gorgeous verandah where you can get platters and snacks, and do the tastings from the comfort of your deckchair overlooking the vineyard. I mean, is there a better way to spend the afternoon? With that, your time in Adelaide is coming to a close. For dinner, there’s two options: you could stay in the Barossa, and try Ferment Asian, a brilliant Asian fusion restaurant with a focus on local, sustainable produce. Or, head back to the city to try out another of our great foodie hotspots: my pic to see off a great time in Adelaide would be Africola, an amazing South African restaurant that’s currently the talk of the town. So, there you have it – my favourite things to do in my home city. 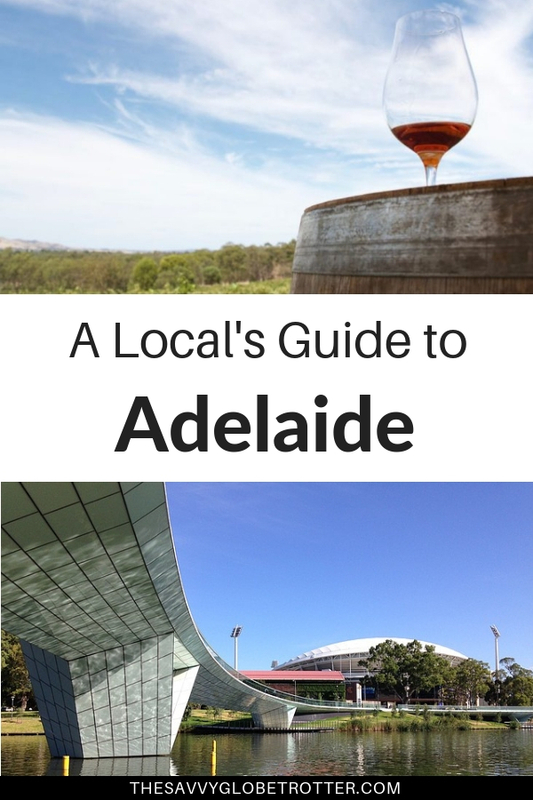 I hope you’ve found this guide helpful and that Adelaide makes it onto your travel plans soon! Author Bio: Georgie Mack is a proud Adelaidean who also loves budget travel, wine and history. She recently started blogging at Journey with Georgie and also shares snaps of her adventures (and wine drinking) on Instagram and Facebook. 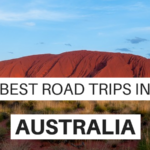 Read More: Have more than 2 days in Adelaide? Check out this list of 35 things to do in Adelaide. Thanks for a great round up of what to do in Adelaide – I have only spent a little time there so far and would definitely be keen to go back and explore a lot more!